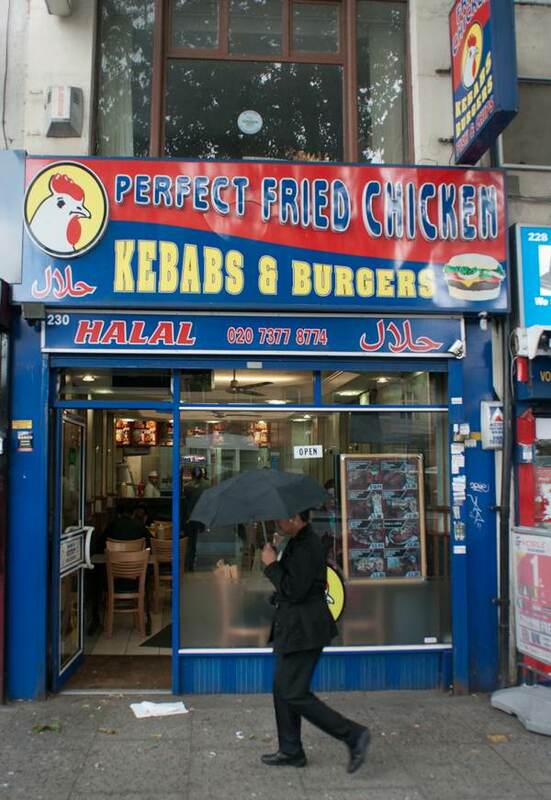 While the rest of humanity may strive towards perfection as an ever-unattainable goal, in the world of Fried Chicken perfection has already been achieved and is omnipresent – or so it appears from the number of Perfect Fried Chicken shops that line our East End streets. 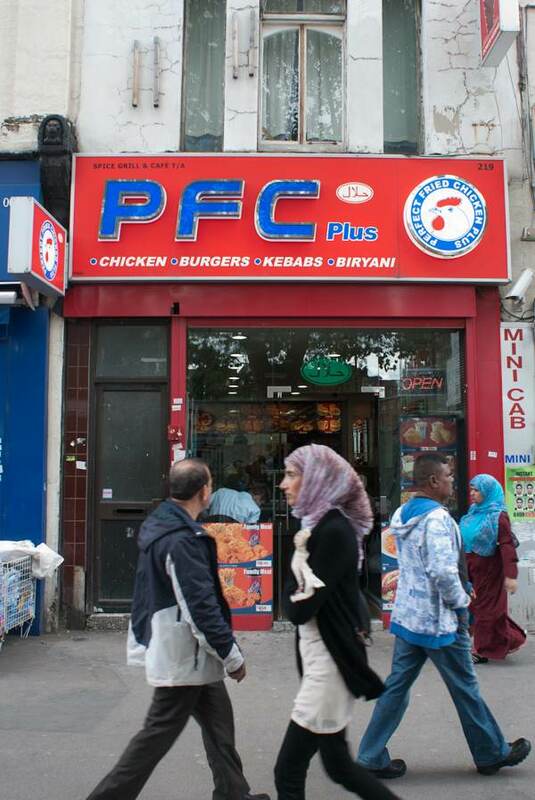 In fact, such is the familiarity of Perfect Fried Chicken that the acronym “PFC” is widely used and recognised among the cognoscenti. 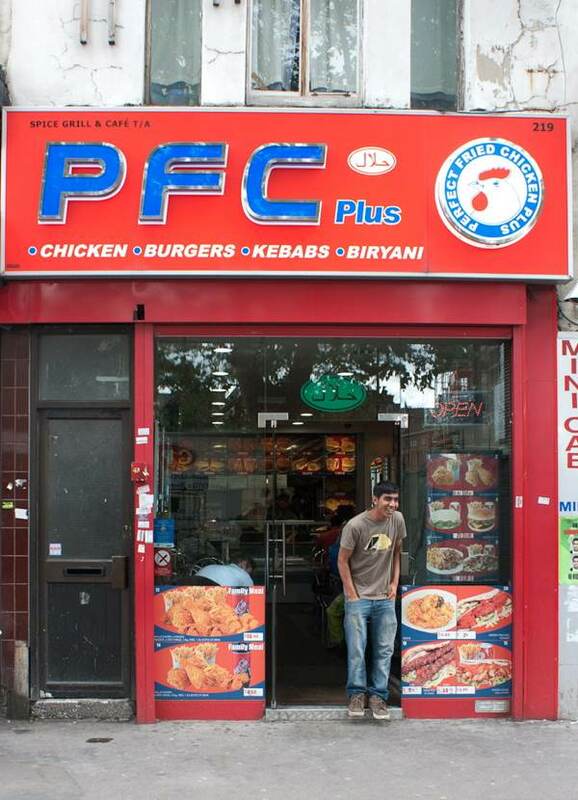 Yet, beyond this, several of the more ambitious Fried Chicken shops even claim to have surpassed perfection by advertising “PFC plus” upon their hoardings. “What is this Fried Chicken that is beyond perfection?” I wondered as a mere PFC neophyte. And so I asked Spitalfields Life Contributing Photographer Sarah Ainslie to join me on a PFC safari to explore this fascinating phenomenon of the ubiquitous Perfect Fried Chicken shops. 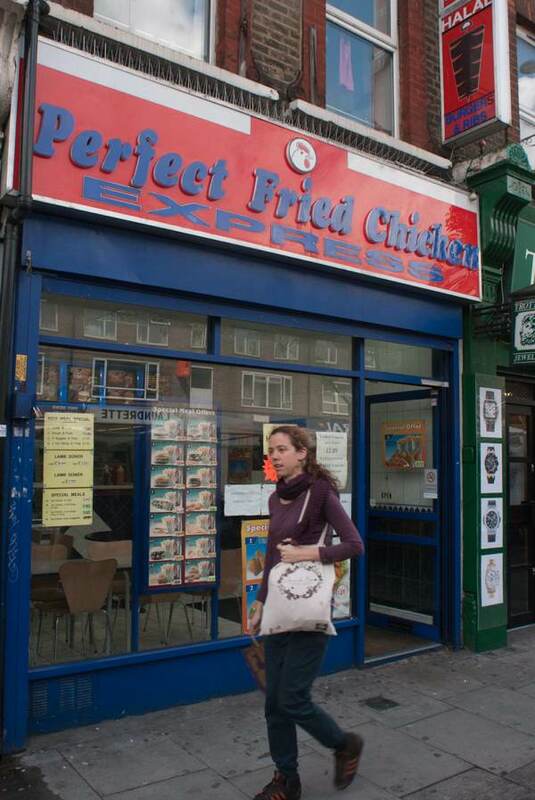 My presumption was that the pace of fast food precluded the opportunity of any conversation, but at Perfect Fried Chicken Express in the Bethnal Green Rd, where we commenced our journey, we received the first of a series of friendly welcomes that were to characterise our itinerary. Sarah & I began mid-morning so that we could observe the accumulation of the lunchtime rush upon our tour and in Bethnal Green we found the staff wiping down the counters and making their final preparations for the day’s trading. 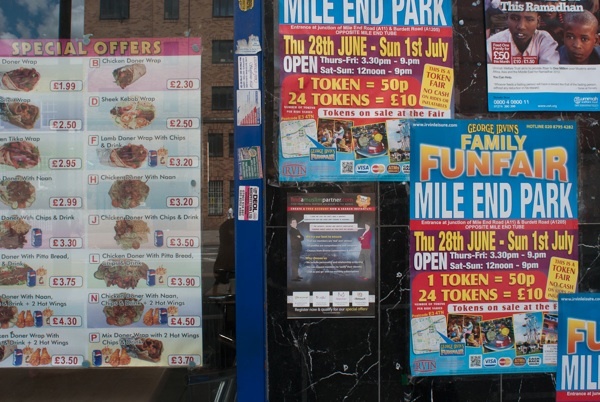 With so many mirrors, reflective surfaces and shiny plastic panels, interspersed by gaudy advertisements illustrating meal deals in graphic colour photography, all cast within a glimmering fluorescent glow, it is difficult to resist the fairground glamour of the Fried Chicken Shops. Yet circumstances are far from perfection in the trade, as Saba Kuru who has been manager of Favorite Fried Chicken for the past six years outlined to me. 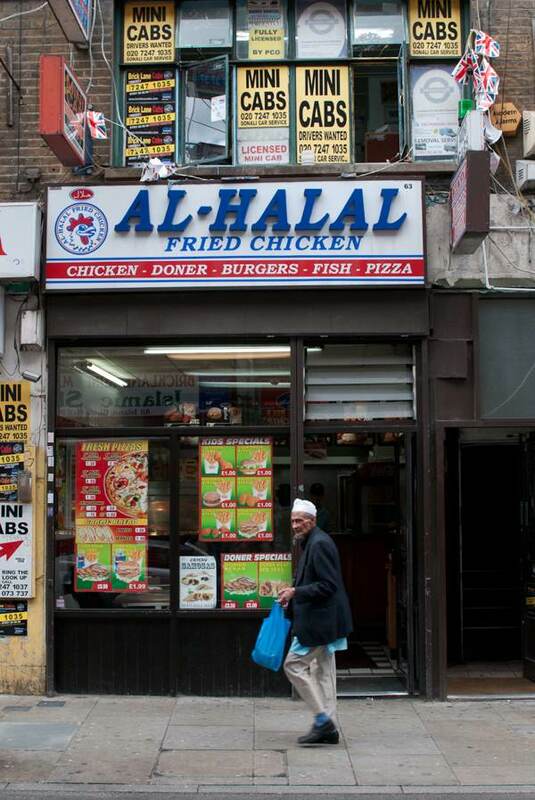 “The council used to decide how many chicken shops there could be in an area,” he revealed with distain, ” but now anyone can get a licence and you even have chicken shops next to one another. It means the price goes down and the chicken hangs around and gets dried out.” But at Favorite Fried Chicken, customers have no fear of dried-out chicken because Saba and his assistant Shakala keep the Fried Chicken moving fast, thereby ensuring its succulent consistency and maintaining the proud reputation of this jewel of a shop at the western end of Bethnal Green Rd. Popping in briefly to shake hands with Moshin, who has been manager of Chicken Hut further down the Bethnal Green Rd for eight years, we crossed over to Brick Lane where, on the corner of Bacon St, we encountered the East End’s newest Chicken Shop. 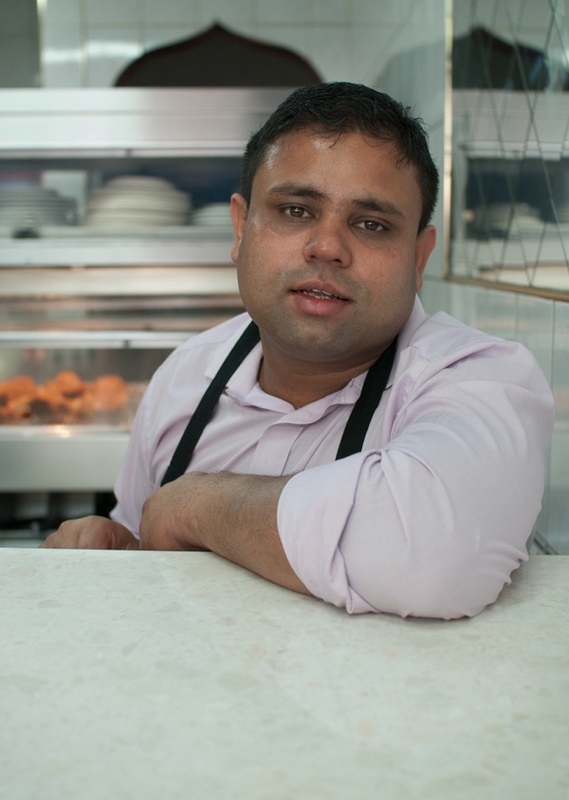 Operating under the unconventional name of Peppers and promising “Fresh and Healthy” Fried Chicken, there we were greeted by Junaig behind the counter who was keen to promote the opening offer of twenty-two halal chicken wings for just five pounds. 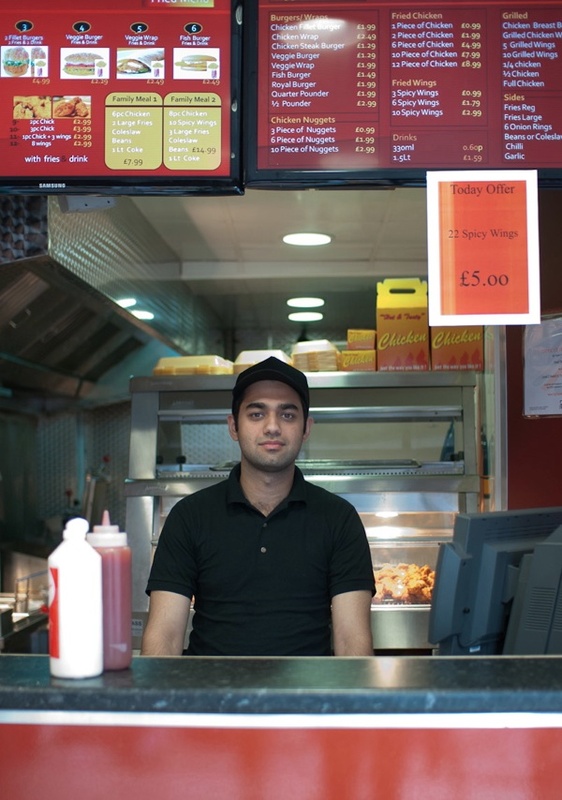 At 63 Brick Lane, we visited Spitalfields’ original Fried Chicken shop, Al-Halal Fried Chicken run by Mr Suhel for the past fifteen years. In this tiny sparkly shop, a team of four led by Mr Suhel were waiting, eager to serve. 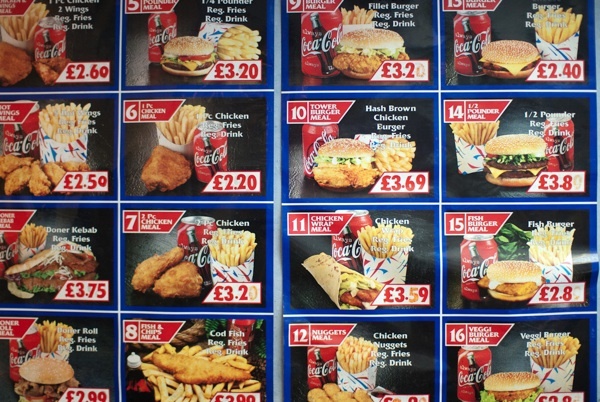 “The prices have not gone up in all the time I have been here,” Mr Suhel assured me, gesturing with a wry grin to his gleaming display of photographs of Fried Chicken meals each individually priced, “Competitiveness is the problem, because someone is always going to sell it 1p cheaper, meanwhile the wholesale price of chicken has gone from £20 to £30 a box.” And that was the limit of our conversation because there was now a constant stream of hungry customers ordering meals. The lunchtime rush was in full flood and crowds prevented us venturing into the Al-Badar Fried Chicken & Curry Restaurant further down the Lane, in spite of the enticing smells that were drawing us there. 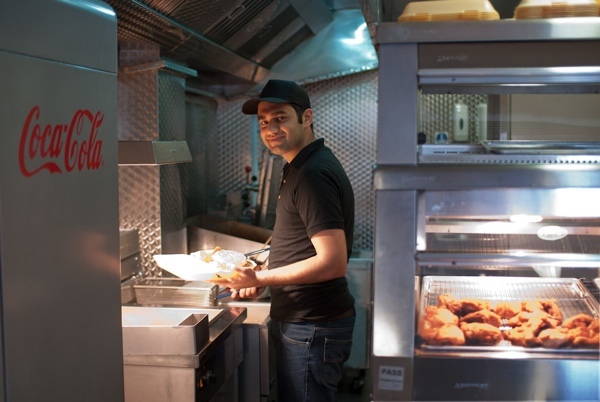 In Osborn St, arriving at the south end of Brick Lane we paid a visit to Southern Fried Chicken, a tiny operation run by Abdul Basith for the last twelve years. The entire shop is no bigger than a domestic dining room and here we found the customers eager advocates for Mr Basith’s culinary skills. While Toufix Alam tucked into his Fried Chicken burger in delighted silence, his colleague at the next table extolled the superlative efficiency of the swift service which allowed her to make the most of her short lunchbreak. “Do you come here every day?” I asked, only to be met with a grin of amazement. “Only once a week,” was her reply and I realised that – much as she would like to come here each day – the need to watch her waistline precluded it. Turning the corner into the Whitechapel Rd, we entered a region where seemingly every other shop was a Chicken Shop, but unfortunately by now we had already eaten so much Fried Chicken that we could only walk past them all in wonder, admiring their permutations of design, their colourful posters and ingenious names. We had arrived at the culmination of our journey, in Chicken City. Everywhere, happy people were to be seen eating Fried Chicken. 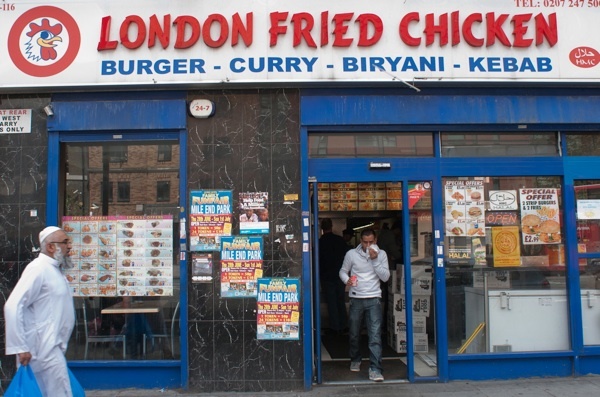 Far from being the transitory anonymous spaces offered by fast food chains, the independently run Chicken Shops are safe havens from the clamour of the city, where anyone can eat for as little as one pound and be assured of a welcome too. No wonder people feel comfortable in Chicken Shops. No wonder people love them. Mahee Abbasi at PFC Plus in Whitechapel. Toufix Alam with his Fried Chicken Burger. At Peppers, Spitalfields’ newest Fried Chicken Shop. Shakala, customer assistant at Favorite Fried Chicken. 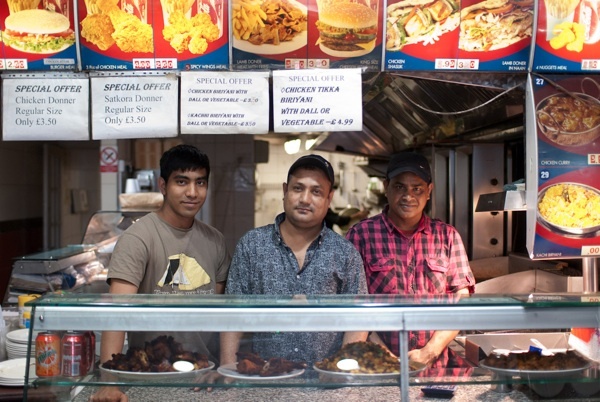 Mr Suhel and his team at Al-Halal Fried Chicken in Brick Lane. Afzol Miah at Perfect Fried Chicken Express. The fastest Chicken Shop in Ilford. 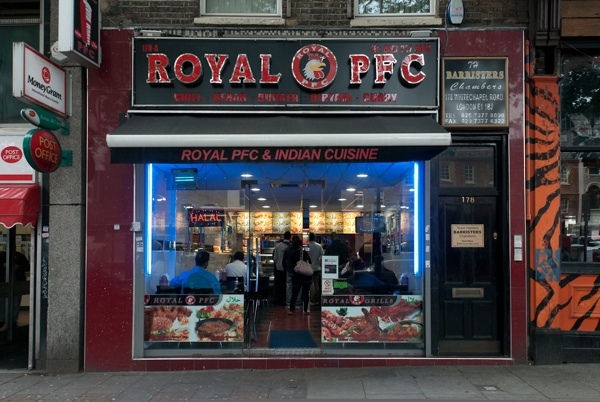 i always always wonder who lives behind the lace curtains above the perfect fried chicken shop, and why, oh why, can’t i? I’ve never frequented a fried chicken shop and have not noticed a perfect chicken trend where I live but I really enjoyed your piece. Really wonderful piece, TGA & Sarah. Excellent article. It’s inspired me to go to my local PFC. HILARIOUS PIECE! LAUGH OUT LOUD FUNNY! REALLY! Imma try some of these places when I’m next in London town. Check out the PFC on Brady Street. They have cheeseburgers that are tastier than McDonalds. They get visitors from all over the borough. 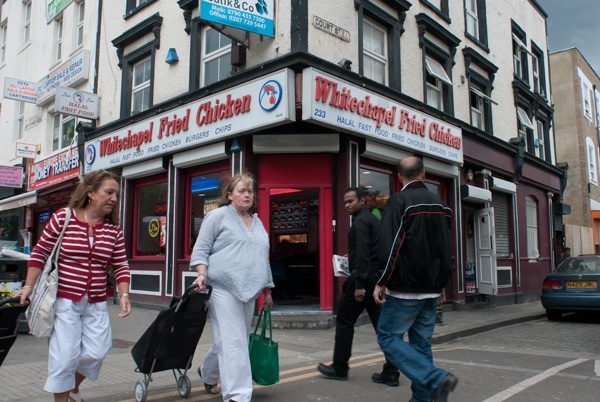 Visit Stepney Green Station too; that single stretch of road has at least 9 fried chicken joints. Lovely article. I’ve ended many a good night with some chicken at the place on the far end of Hackney Road opposite the bus stop. Shame he had to end it with some fashionable chain-bashing. 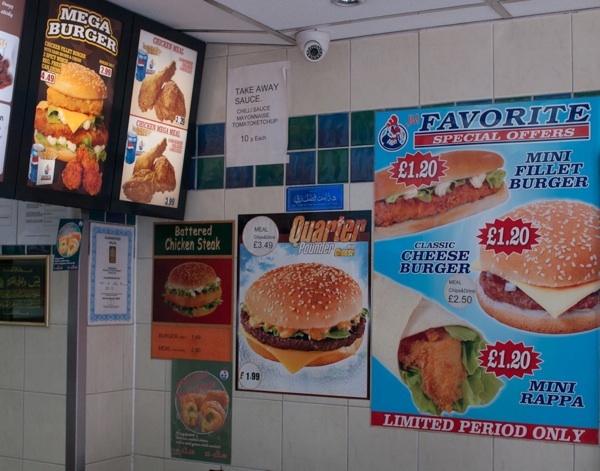 I wouldn’t describe any of the chain places in Bethnal Green as transitory, they’ll stay as long as there is business, just like the chicken places, you can get a burger in McDonalds for 99p and last time I was in there it seemed very much part of the community. They certainly weren’t turning anyone away. 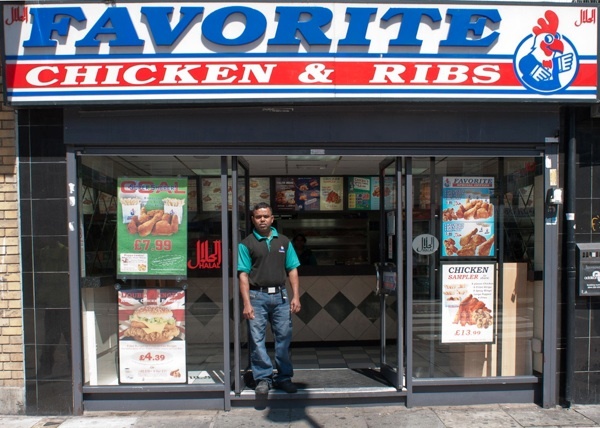 Most, if not all, of the capital’s fried-chicken hotspots are to be found in low-income areas. 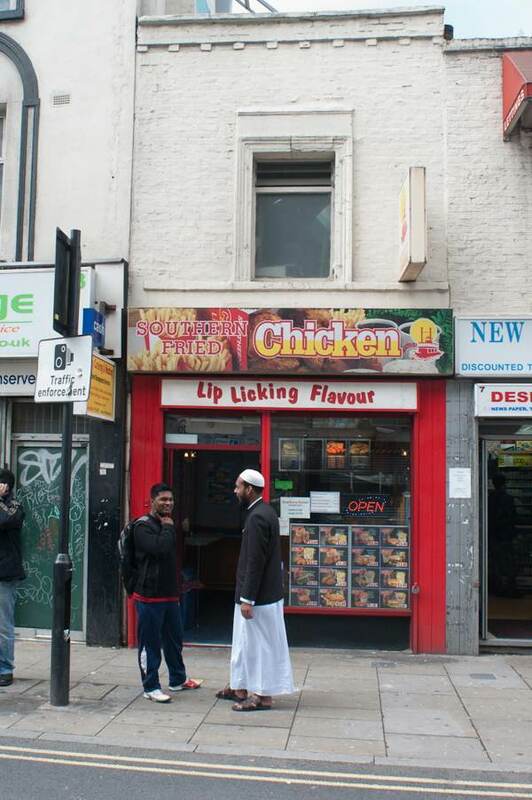 On Whitechapel Road, familiar to most as the cheapest street on the Monopoly board, you can taste the chicken in the air. 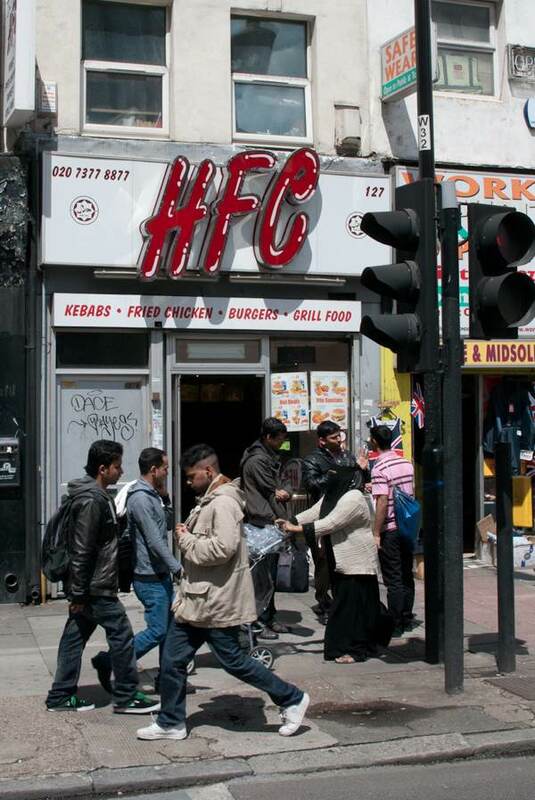 Here, as in Finsbury Park, there are half a dozen or more fried chicken shops just a stone’s throw from one another. Both are low-income areas with large Muslim populations; every one of the places I visit has been certified Halal. 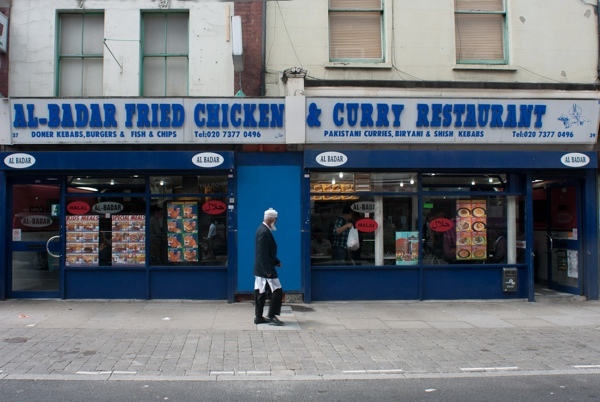 In City Fried Chicken in Whitechapel, the prayer call is broadcast to diners from a speaker just beside the counter. Peppers on 141 Brick Lane is newest entry in area, I found there Grilled chicken so tasty and love to eat regularly. There food is always fresh. Like kaesh said, check out the pfc on brady street their cheeseburger with caramelized onions is tastier than mcdonalds or any pfc I have eaten. 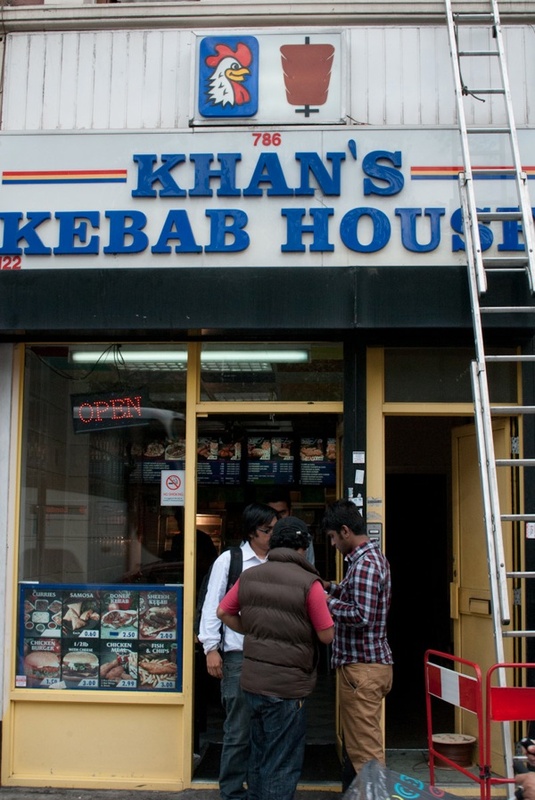 People from from different boroughs of east london from as far as havering come to eat there.